There are several benefits of being able to use an external database connection. This may mean that the database is on another server, hence the code and the database are on different servers. This is an advantage when it comes to using large databases and also for a project with large codebase. Magneto will generally be configured for a single database connection and it is quite robust as well. However, there is often a need for an external database connection. This may be for the purpose of data migration or simply because of the project design or because it is a large project. Whatever the reason may be, one of the major advantage of selecting Magento for your eCommerce website is that it allows the use of an external database. It is possible to configure Magento for an external database connection. This can be done using the XML configuration similar to that of the Magento database. The main difference being that with an external database is that we need to use the XML file in the specific module and configure it to use with the external database. The model requires to utilize a foreign connection to ensure the data is accessed or saved to the correct database. Additionally, the controller also uses the appropriate model to handle the database function calls. 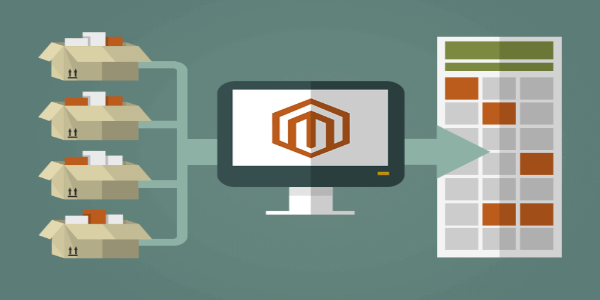 Magento uses database abstraction tools to access the database and even to execute queries, hence that makes the process of accessing an external database connection simple. Many businesses around the world are now aware of the advantages of an online eCommerce website. Thus, more number of business interested in creating a presence online. This includes small scale businesses as well as large scale businesses. If the business has a large product base and the website has many features, it can adversely affect the performance of a website. However, if you place the database on a different server than the codebase it is possible to maintain optimal performance even if the database and codebase are large. At times the website may perform well under normal circumstances, but there may be a heavy load during sales. For example, there is the black Friday sale in USA that is very popular and the heavy load during this sale tends to affect the performance. Alakmalak is an IT firm that has been around since a long time. They have developed more than 2000 websites during this time. Their clients are from all around the globe (more than 20 countries) and they have a high retention ratio. They have highly skilled Dedicated Magento developers with a great deal of experience who develop stunning eCommerce websites. How much does it cost for search engine optimization for Product / Service based website?